Cover photo: ArtEventia’s ​‘Abracadabra’ at Festival D’Art Pyrotechnique 2016. After Cannes famous film festival’s red carpet is rolled up for another year, the city becomes the stage for one of the world’s premier fireworks competitions. 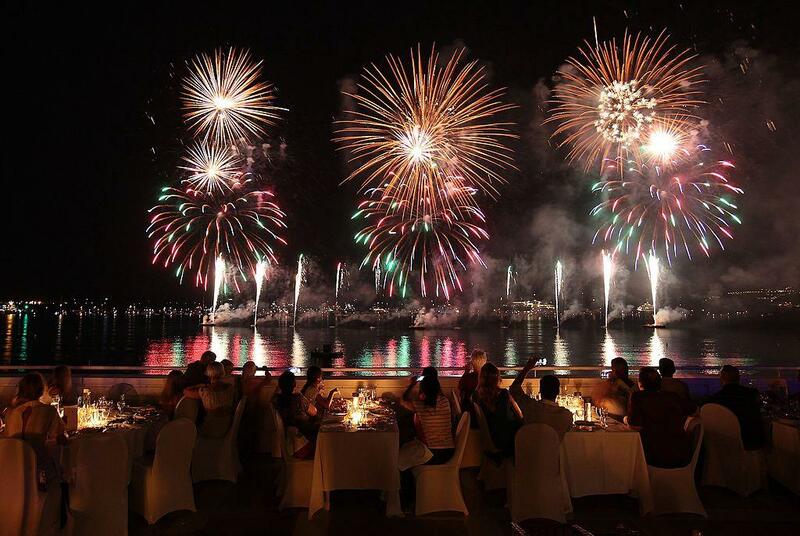 Throughout July and August, the heavens above Cannes’ harbour are lit by a glittering celebration: the Festival D’Art Pyrotechnique. For the last 20 years, some of the world’s greatest pyrotechnicians – the creators and handlers of explosives and fireworks – have flocked to this event to show their worth in this unique artistic field. Teams from guest countries assemble to compete for three grand prizes: the coveted Silver Vestale d’Argent, the Prix du Jury and the Prix du Public. To judge these spectacles, the jury is on the lookout for originality in the use of theme, staging, colour and soundtrack – the combination of which provide for dazzling spectacles unlike any other. 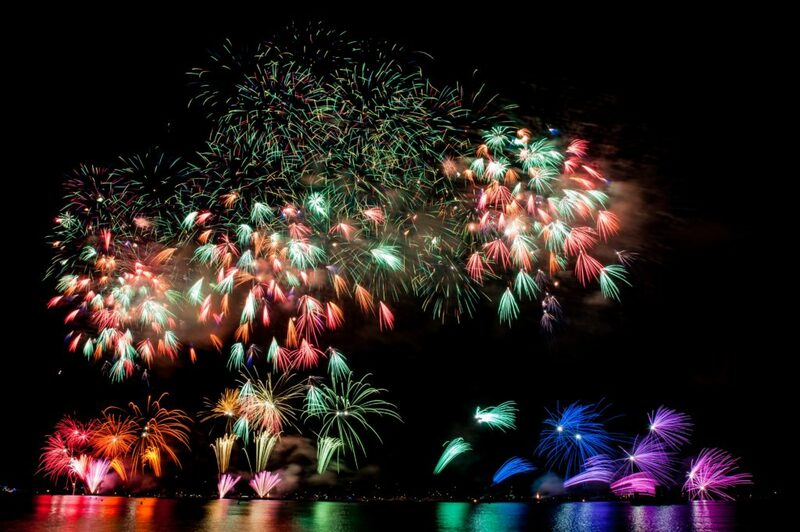 Held across six nights in July and August, the Festival D’Art Pyrotechnique is a showcase for some of the world’s finest firework displays. It’s a battle of colour, sound and light, where each demonstration is focused on a specific theme. Barges sail out into the open bay between the unspoilt Îles de Lérins and the Pointe de l’Estérel bedecked with artistically crafted fireworks. Eager spectators line the seafront, jostling for the best view. This year’s festival will be held on July 14, 21 and 29, and August 7, 15 and 24 with Canada, France, England, Austria, the Philippines and Italy all represented in the lineup. Each evening, the sky will form the stage for one of the six competing teams. Their brief is simple: devise a spectacular scene lasting at least 25 minutes using fireworks, digital technology and music. Johan Holländer, the founder of Finnish company JoHo Pyro and winner of the top prize – the Silver Vestale – in 2016, explains: ​“The fireworks setup is a huge undertaking. Working out on water, with a 400-metre range, is a technical challenge in itself.” While the challenges facing these virtuosos of the heavens are fairly abundant, their road to the grand prize is not. A winning combination: JoHo Pyro’s ​‘Conquering the Rough Northern Seas’ at Festival D’Art Pyrotechnique 2016. Courtesy of Maurits Verbiest. Every four years the Silver winners are invited back to compete in a champion-of-champions event for the Vestale d’Argent. The last Gold competition took place in 2014 and saw Russian company Khan take the top prize. Since then, the team has gone on to devise pyrotechnic shows for the Vyborg Film Festival and the 750th anniversary of the city of Kaliningrad. With that much effort behind the spectacle, it’s no wonder that the marvelous displays capture the attention of 200,000 spectators every Summer. If you’re keen on witnessing the magic with your own eyes, we highly recommend, that you head over to La Croisette at dusk for a cocktail and a spot of people watching before the show begins. Many of the waterfront hotels also turn their rooftops into viewing platforms, though you can get a closer look at the aerial show from a boat floating in the bay. Then, all that’s left to do is look up and enjoy the artistry of the likes of Holländer and Gregoire.